What can be learnt and applied now from traditional knowledge and adaptation to future environmental and resource issues? 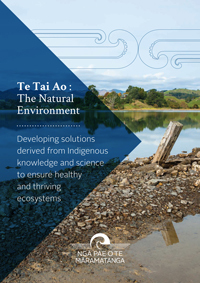 This project seeks to understand how quickly early Māori society changed from its initial wasteful use of environmental resources soon after the Polynesian migrations, to then live within its ecological means in the face of resource decline pressures. These pressures were largely caused by ongoing extinctions and depletion, compounded by adverse climate change during the period 1350-1900.